New Standards for Fire and CO Alarms .. The Scottish Government has recently published wide-ranging headline proposals extending current minimum alarm provision for private rented housing to all other tenures, including social and owner-occupied homes. For fire protection, this means interconnected smoke alarms in principal living rooms and heat alarms in kitchens, in addition to smoke alarms in circulation areas on each storey. The Scottish proposals also require carbon monoxide alarms in all homes and encourage combining CO alarm installation with smoke and heat alarms. They recognise that – in today’s uncertain world – smoke, heat and CO alarms offer the first line of defence in housing, providing critical early warning at low costs. Kidde already offers compatible ranges to optimise efficiency and whole-home protection. Kidde’s Firex alarms can interconnect with its mains-powered CO alarms. Here, all the alarms sound when one is triggered – with different, distinct alarm sounder patterns for carbon monoxide or fire. So, without the need for remote switches or panels, the system alerts occupants to the specific hazard that confronts them. This allows them to respond quickly, making the right choice from the very different alternative actions for either fire or carbon monoxide. 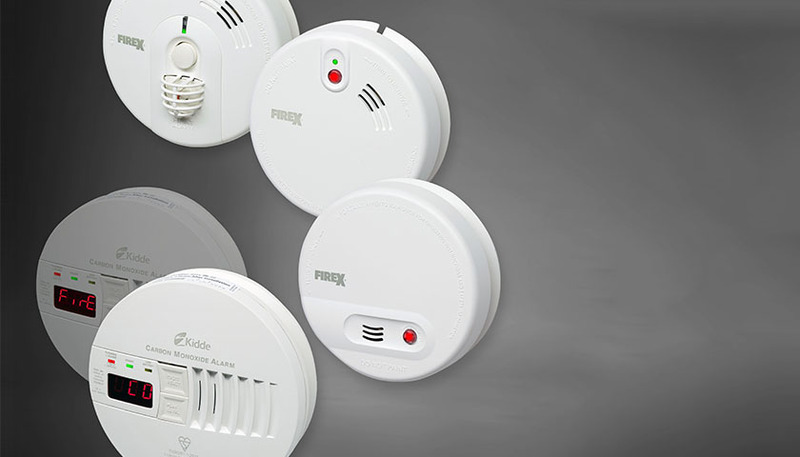 To find out more about Fire and CO Alarms by Kidde please click here.